I wouldn't call this a comeback but it is a good start. After over a year hiatus, I learned that what I was missing in my personal life was my blogging flow. I will slowly ease my way back into posting but hope to get back in my daily groove of outfit sharing and shopping guides. 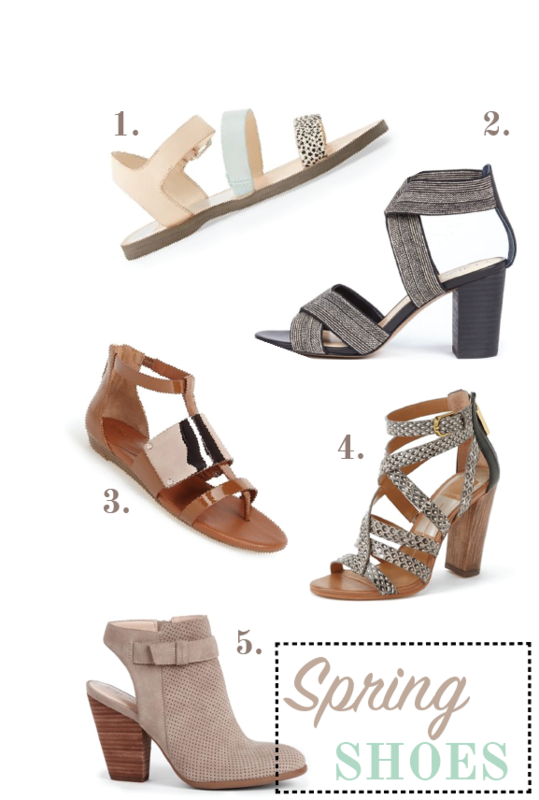 To start my blogging re-boot, I rounded up some of my fave shoe styles to transition from winter to those warmer months. Sole Society and Nordstrom are a great place to start for affordable styles that you can take from the office to a night out. Which styles are you lusting over? Super cute post. I've loving sandal #3. It's the perfect neutral that has a little shine. #2 bc I need more shoes with a wider stacked heel! Comfortable heels...a novel concept I have yet to explore!